Laura provides sports, as well as therapeutic, massage, using the techniques described below. 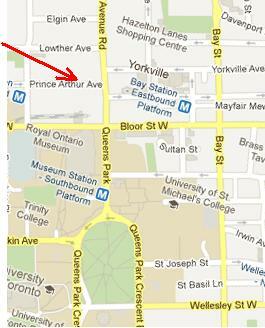 Her office is located near the corner of Bloor St. & Avenue Rd., in the heart of downtown Toronto (see map below). the muscle, in order to reduce muscle tone and spasm. 1 minute. Blood flow returns to the area flushing the metabolites from the area. tissue and allow the tissue to heal more efficiently and resume proper function. restrictions, reduce pain and hypertonicity, and increase local circulation.